Many of you know that one of my hobbies (a hobby about which I’m passionate) is ballroom dancing. A couple of weeks ago I attended the 20th Anniversary of the Millennium Dancesport Competition run by Mr. Michael Chapman. This competition is absolutely one of the best. It is really well organized and lots of fun! Mr. Michael Chapman always has a theme. This year his theme was Addicted to Love. As you might imagine the colors in the ballroom reflected his theme. The chair coverings were black with a red band wrapped around the chair back. The table tops were adorned with fuschia pick feathers or miniature Eiffel Towers (you know Paris is the city of love, right?) or a very high heeled shoe with sparkles. The stage had enormous three-dimensional fuschia pink letters on it spelling out the word LOVE. 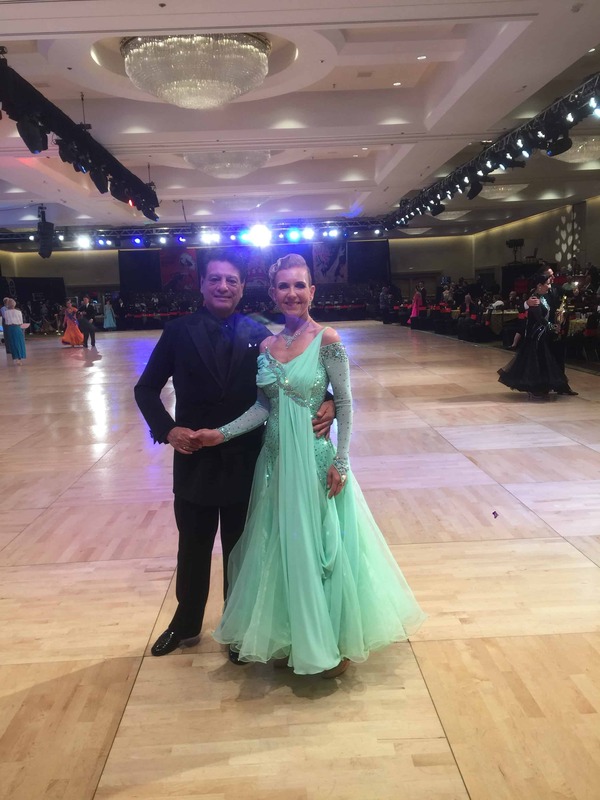 The ballroom was so festive and everyone – all of us dancers – looked gorgeous with our ball gowns, hair and make-up. This year there were over a thousand participants with more than seventeen thousand entries. WOW! The competition started on a Tuesday and continued through the week ending on Saturday. My partner and I danced on Thursday and Friday. We were there for the whole competition because part of the fun is watching the other dancers. In fact, I always learn something from watching the others. The competition officially ended on Saturday evening with a fantastic professional show. Sunday morning these same professionals got up early to give a master class. Each of six professionals gave a 30 minute mini-class. The information they shared was terrific. I took lots of notes and plan to incorporate much of what they said in my dancing. Are you wondering what all this has to do with organizing? The competition, as I said before, was very well organized. We, participants received a terrific tentative schedule of events. It listed each day and that day’s events. We also received a HUGE binder with all the heat lists. Every event ran on time or a little early which was great. I know that lots of time and effort went into the planning. This made it easier to plan my time on and off the dance floor. My partner and I could predict when we’d have time to do a little practicing and when we could leave the ballroom to get a snack. I was fascinated to hear each of the professionals talk about organizing as an important skill to employ with their dancing. They emphasized the fact that they must be organized in their body before beginning any dance. They check the basics: they stretch, check their alignment, their breathing and notice if there is any tension in their body. If there is tension in their feet it could throw them off balance. They talked about keeping it simple. They like to do simple steps within challenging patterns. They said do not mistake simple for easy. There is nothing easy about doing simple things really well and seamlessly. Interestingly, they also told us if they are having trouble with a series of steps they break the series down into small components and tackle each one independently. These are some of the same strategies I teach my clients. I ask that my clients be ready to organize when I arrive. This means that they are mentally prepared to work with me. We talk about the purpose of each room understanding that some rooms are multi-functional. If the organizing project is large we break it down into small, manageable steps so that we can make progress and not feel overwhelmed. Take small breaks when tackling an organizing project. This helps to clear the mind and let you reset your focus on the task at hand. It gives you renewed energy when you can walk away for a few minutes, take a breath or two, relax and then come back to do the next step. I also teach straight forward simple strategies tweaked to the learning style of my client. Creating these strategies is never easy as changing what you do habitually is never easy but it can be done through regular and repeated practice. I loved learning that so many of the organizing techniques I employ with my clients these professional world champion dancers use when practicing and perfecting their dances. Do you have a simple organizing technique you incorporate into your daily life?